Copyright: The Winner agrees to let the Images Evidence and/or Canon present her photographs financed with the award, for an exhibition of the works of the award winners, and the publication of a catalogue. Who can enter: Open to all female photographers worldwide. 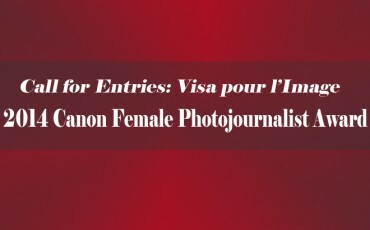 The winner will receive the 8 000 euros at Visa pour l’Image in Perpignan in September in order to allow the winner to carry out the photo-reportage which has been presented for the Award. Judging criteria: professional qualities of the applicant and the relevance and originality of the project. Online submission of digital photographs by FTP.